DoYourData Data Recovery is a professional lost files & folder recovery software for Windows. It can recover lost data from partitions on your computer, storage devices such as USB, SSD and flash drives. The best part of the software is that it’s straightforward to use. Any regular computer user will be able to retrieve the deleted files with few clicks. After you download, install and launch it for the first time make sure to activate it so you can unlock and enable all the features. The software offers a list of drives connected to your computer up front. You will see partitions of the disc which is installed on your computer. 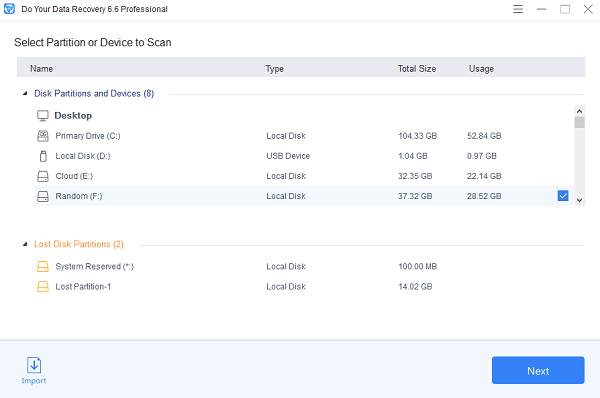 Rest of the external device appear as single storage under different names. System reserved partition and lost partitions appear separately. To recover files from any drive or partition, select it, and a tick will appear on the right. Click on the next button, and the next screen will offer you a list of file types. Make sure to select the one you need to recover so if you are looking for lost pictures, select images If it is a video, select video file types and so on. You can choose between Quick Recovery or Advanced Recovery. We suggest you select the quick recovery option if you are using it for the first time. This is useful when you have just deleted a file as there is no for a deep scan. The Advanced Recovery is meaningful when you deleted a file, long time ago. Once the scan is complete, it will reveal a list of files and folders which can be recovered. All those come with a red exclamation mark. Also, notice an Other Lost files folder. It will have files which you can recover. Most of the data will have the option to preview. If you can preview a file, chances of recovery are very high. If you are not able to find your file, the best way to go ahead is Advanced Recovery. 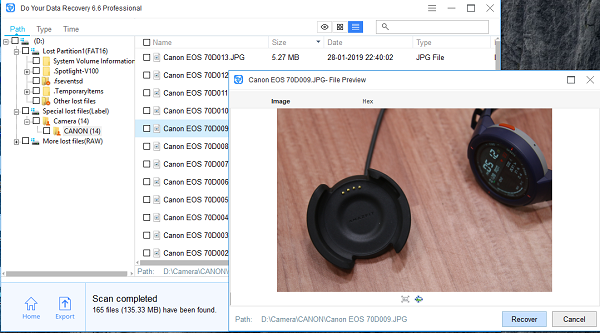 It will perform a deep scan of your drive and list files which were deleted a long time ago, and there is a chance to recover them. Type: This will sort the data according to the file types. Each of the listed files shows size, filename, and preview when you double click on it. 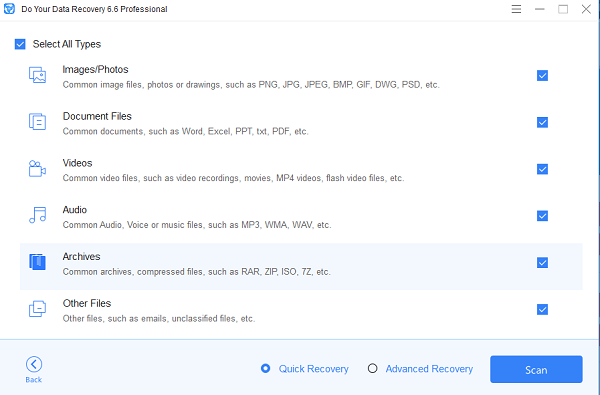 Click on one or multiple files and choose to recover. Make sure when you recover the files, you save it on a separate drive, preferably on an external drive. It will make sure that you are not the overwriting location of other files with these new files. 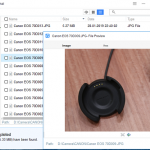 During the recovery process, you can preview the files when it is scanning. You can also pause the scan process anytime, and resume back later. Every time you search, you can choose to save the results. This comes in handy when you do not have enough time to recover. The advanced scan takes around 6 to 7 minutes on an average. So when you finally have time, just load the recovery result files. This will list down the files again from the last scan. Deleted File Recovery: It can quickly recover permanently deleted files include those who have been removed from the recycle bin or deleted using SHIFT + DELETE or by any other software. Formatted Recovery: It is capable of recovering data from a formatted or erased hard drive as well. Raw Recovery: If you have lost files because of a file system crash, logical error, partition loss, system initialization, etc., it still works. Make sure to look for lost drives section. The recovery software should help you recover most of the lost files, however, do keep one thing in mind. If any other data have overwritten the space of the delete files, then they can be recovered. The way this or any other recovery software works is looking at those files which still exist on the drive, but not in the index table. Once you have the software, I am sure you will act much faster which will also increase the chances to recover the software. When it comes to performance, the software is lightweight. Even with the advanced recovery running in the background, the system did not slow down my work. The same goes for installation which is of 10 MB. DoYourData Data Recovery is available only for $69 which offers lifetime license code and free lifetime updates. Anytime you are not happy with the update; you can use the assurance of 30 days money-back guarantee.